Trucks are becoming increasingly fuel efficient, offering you the power you need on the jobsite without breaking your budget at the pump. If you’ve been on the hunt for a critically acclaimed truck with solid gas mileage, Dakota Chrysler Center has a vast selection of fuel efficient trucks for sale in Wahpeton, ND. Take a look at our inventory below, and then keep reading to find out about all the perks our dealership can offer you today. ONE OWNER LOCAL TRADE! 2016 RAM 1500 CREW CAB BIG HORN!! ONE OWNER ECO DIESEL! NEW TIRES!! 2015 RAM 1500 CREW CAB OUTDOORSMAN! ONE OWNER LARAMIE! HEATED/VENTILATED SEATS!! AUTO START AND HEATED STEERING WHEEL!! Why Choose Dakota Chrysler Center Over Competitors in Wahpeton, ND? The future of green trucking is here at Dakota Chrysler Center. With dozens of new, used, and certified pre-owned models in our inventory, and financiers who can flexibly tailor a plan to suit your monthly budget, you’ll find we have a fuel efficient truck for sale in Wahpeton, ND that can meet all your needs, no matter your price point. To top things off, our diverse roster of vehicles on special means you’re likely to find your ideal truck at a discount price. 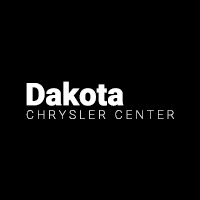 Factor in the rebates and incentives we’ll make sure you make use of and swinging a steal is easy when you choose to shop Dakota Chrysler Center. Contact us to set up your test-drive. We’ll keep the engines warm.